Sometimes you find stories that never saw the light of day in family conversations. When I fell across this article referring to Karl Krummel in the Courier Mail of 3 September 1945, it begged many questions. The late Roger Mansell told the story of the SS Regensburg which transported survivors of the sinking of the Kirkpool and the Nankin (on which Karl Krummel was second engineer). Several ship transfers later, they found themselves in a civilian internment camp in Fukushima where they spent the next three years of their lives. Thor sighted Kirkpool on afternoon of April 10th in poor visibility and tracked the vessel until near dark when she closed to track again using her early version radar. She closed range until 2007 hrs at 2,420 yards range torpedo launched, for a miss, and gunfire opened up. Of four shells fired in second salvo, three struck the Kirkpool. Thor ceased fire at 2011 hrs with the steamer on fire. The Kirkpool turned to ram or maybe lost steering control and gunfire was resumed for another minute. Thor stuck around for three hours searching for survivors. The 17 survivors (out of 46 crew) were picked up from the sea. Thor later transferred the survivors to the SS Regensburg. This ship already held POWs from the sinking of the Nankin, (who were also held in Fukushima camp).They were moved again, this time to the SS Dresden, a merchant ship bound for Japan, and then finally transferred to SS Ramses. They were handed into Japanese custody by the German authorities on the 10th of July 1942 on board the SS Ramses in Yokohama harbour. 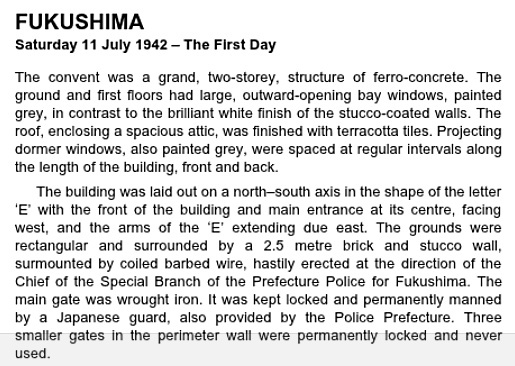 On the night of the 10th /11th July 1942 they were taken north by train to the town of Fukushima and reached their destination, a Roman Catholic Convent on the outskirts of town which had been turned into a Civilian Internment Camp. There, the civilians were placed in the charge of a special branch of the local police force. One death and one birth were reported shortly after arrival. We are fortunate to have access to the personal accounts of experience of the Nankin sinking and life in the Internment Camp by Cecil Saunders and Malcolm Ingleby Scott. 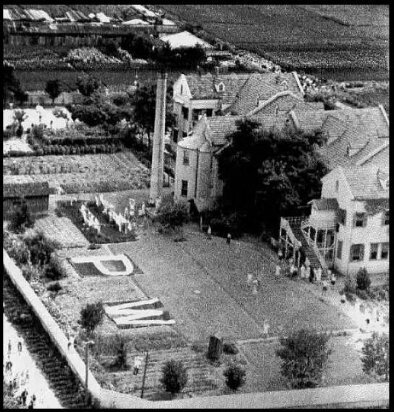 This aerial photograph of the camp comes from Scott’s article. 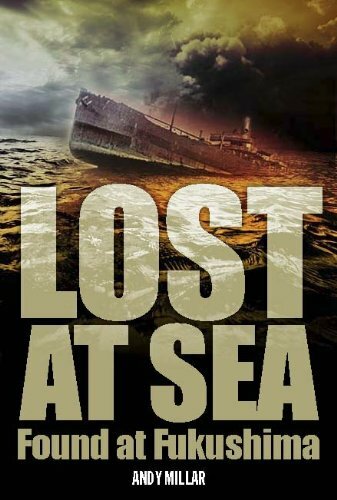 In addition to the personal accounts, I found the book Lost at Sea – Found at Fukushima written by Andy Millar whose father was in the camp. Here’s an excerpt from what looks to be an excellent way to steep yourself into the lives of David Millar, Karl Krummel and others during those difficult three years for them. Thanks Lynn. Do you know if book is available through Qld libraries? David – I just checked in the catalogue of our local library and there is one copy in their system. And have now found a copy in your Flinders Street Library which is not currently on loan. My father was Malcolm Ingleby Scott! If you need any further info on Fukushima camp please contact me. I gave Roger Mansell much of my research. Chris. Hi Chris. That’s amazing. Thank you for your kind offer. I’ll pass it on to the direct descendants of Karl Krummel in case they want to do further research.